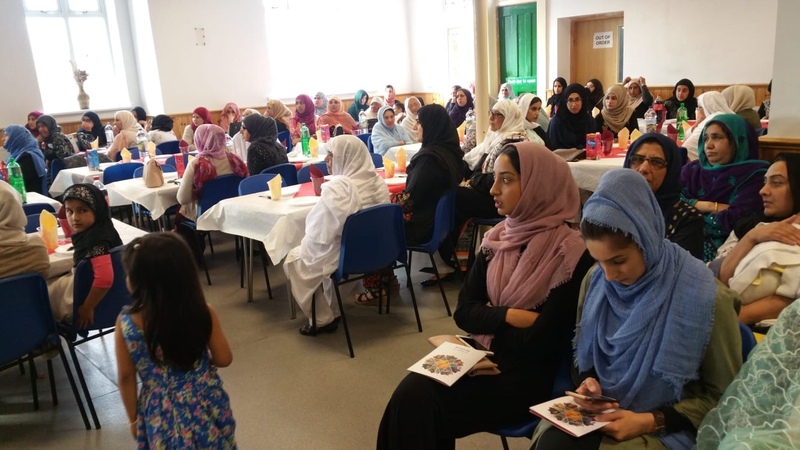 Minhaj ul Quran Women League Tinsley organised their Annual Iftar Charity event to raise funds for orphans and clean water in Pakistan. Amina Sultani was the guest of honour at the event. 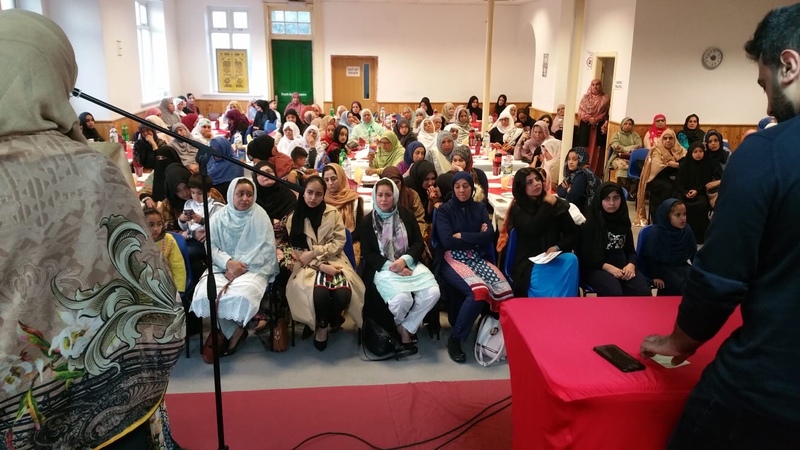 For the past three years members of the Minhaj Women League have been organising Iftaar Dinners to support orphan and needy children and provide clean drinking water to the poor and needy people of Pakistan. 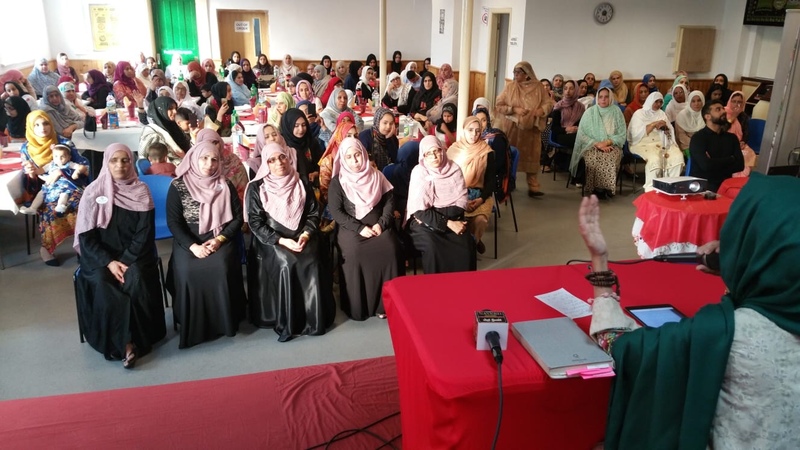 Minhaj Women League Tinsley organised an Iftar event in a local community centre which saw hundreds of women (young and old) attend the three-hour event. The women prepared food and iftar themselves and at the same time supported a noble cause in helping the less fortunate during the month of Ramadan. A substantial amount of funds were both raised and pledged proving that women are always first in giving in charity. Khalida Khan President of Minhaj Women League Tinsley, welcomed everyone and informed the audience how important this event was. The local team worked day and night in gathering the local community in order to suppor the efforts of Minhaj Welfare Foundation. Amina Sultani, a Uk based naat khawan mesmerised the hearts of the listeners and created an amazing spiritual atmosphere with some naats in praise of the Beloved Prophet (PBUH). The President of Minhaj Women League North, Nasreen Akhtar gave a very emotional speech about the importance of charity and Zakat. She told the audience, that it is our religious and social responsibility to support the poor and needy. She told of her own experience when she recently visited the Aghosh project in Lahore, and how she felt satisfied of the progress of Minhaj Welfare Foundation and was happy that people’s donations are being spent on the right cause. Adnan Sohail from Minhaj Welfare Foundation thanked the audience and local volunteers for their amazing effort in making the Iftar Charity event a success.